First, using advanced BIM software the civil engineer develops a highly accurate, digital 3D model of the site. After receiving a copy of this model, the grading subcontractor loads a variant of it directly into the onboard computer of GPS-equipped bulldozers. Using GPS and on-site laser-based positioning systems, the equipment operator compares their constantly moving, real-time location with the current site model and scrapes, grades, cuts, and fills – either automatically or with guidance from the onboard system – to unprecedented levels of accuracy. The civil engineer for American AgCredit is Brelje & Race Consulting Engineers. 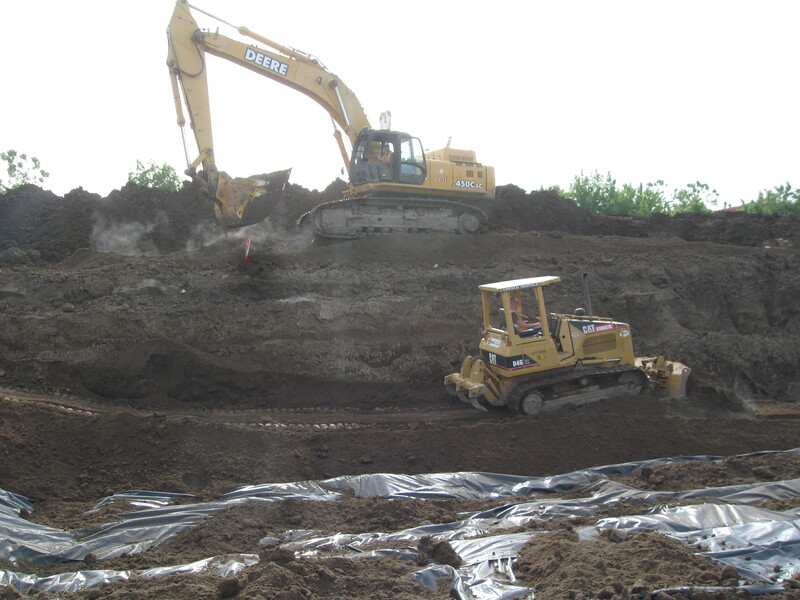 The General Contractor is Jim Murphy and Associates, and the grading subcontractor is Northwest General Engineering. All firms are located in Santa Rosa. This process virtually eliminates the need for staking and makes operating equipment easier. It offers the potential to achieve designed grades on the first pass, saving time and expense, and minimizes fuel consumption and associated pollution.